TUCSON, Arizona — Spirit Realty Capital (NYSE: SRC) of Dallas Texas added to its investment portfolio the new Century Tucson Marketplace-14 for $15.55 million ($290 PSF). 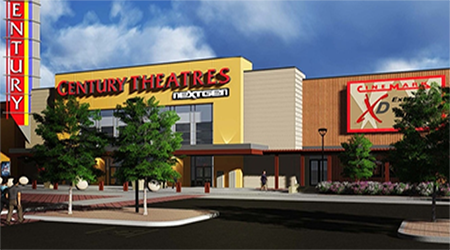 The new Cinemark NextGen Theatres is located at 1300 East Tucson Marketplace Blvd. The 53,678-square-foot theatre, with 14 screens and 1,294 seats, has all-digital movie theatres and opened November 10, 2016. Spirit Realty Capital is one of the largest publicly traded triple net-lease real estate investment trusts (REITs) in the United States. Investing in single-tenant, operationally essential real estate: free-standing facilities where tenants conduct activities that are necessary for their sales and profits. Spirit has approximately 7% of its portfolio in movie theatres. As of December 31, 2016 the Spirit’s diversified portfolio was comprised of 2,615 properties, including properties securing mortgage loans made by the Company. Properties are leased to 450 tenants across 49 states with an aggregate gross leasable area of approximately 53 million-square-feet. Tenant include entertainment facilities as well as healthcare, industrial, and other industries that need special-use facilities. The Theatres at Tucson Marketplace was sold by Eastbourne Investments, Ltd of Toronto, Canada and New York, the developer of Tucson Marketplace. 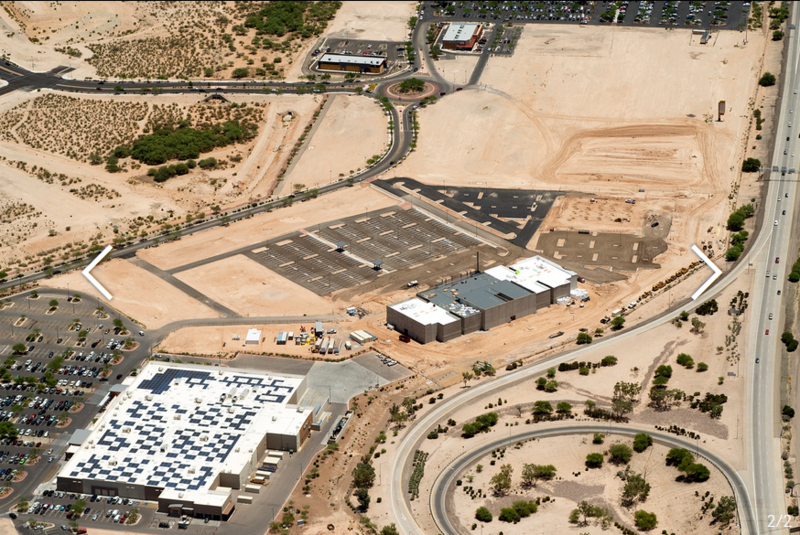 Tucson Marketplace is a 114-acre project with 1 million-square-feet of retail and entertainment anchors with fully complete. Current anchors include Costco and Super Walmart and over 96,000-square-feet of buildings that broke ground at Tucson Marketplace this past year. Cinemark’s 53,678-square-foot Century Theatre, a 12,550-square-foot Lin’s Chinese Buffet, and a 30,000-square-foot Dave & Buster’s opening April 10th . Randolph Titzck and Chad Russell with Land Advisors Organization in Phoenix represented the seller, Eastbourne Investments. Chad Tiedeman and Steve Underwood with Phoenix Commercial Advisors represented Spirit Realty. For more information, Titzck and Russell should be reached at 480.483.8100. Tiedeman and Underwood can be contacted at 602.957.9800. To learn more, see RED Comp #4578.